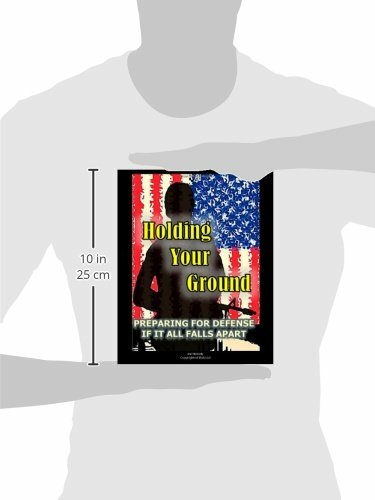 HOLDING YOUR GROUND is an instructional guide and planning tool that addresses defensive preparation of a location. If the government can no longer protect your home, farm or property, HOLDING will teach you how. HOLDING covers virtually every aspect of protecting you and your family in the event society breaks down. Many people have preparations for food, water, shelter and personal defense. 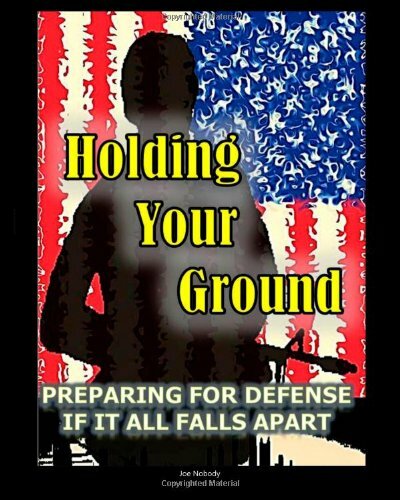 HOLDING will teach you how to configure your home, train your team, and properly equip any location for defense. 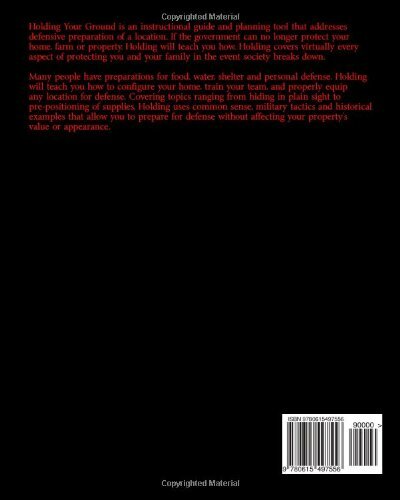 Covering topics ranging from hiding in plain sight to pre-positioning of supplies, HOLDING uses common sense, military tactics and historical examples that allow you to prepare for defense without affecting your property's value or appearance. 1. The Government no longer provides security, such as the police, either locally or nationally. 2. There is a disruption in the food supply. The reason or cause really doesn't matter. It could be natural disasters, economic collapse, social upheaval, EMP attack, pandemic, or any other doomsday scenario you can think of. If Law Enforcement is no longer there and people are hungry, ugly things can happen. We Preppers are normally peaceful people who simply want to grow our food, raise our children and perhaps contribute to the re-building of our society should such events occur. Unfortunately, not everyone prepares, and that means there may be haves and have not's. Every society has some economic division of its people and for the most part, they co-exist without issue. When it comes to FOOD, the chances of a peaceful existence between those who have and those who don't is low. We live in a free, well-armed society, and that means if trouble does erupt - it will probably be violent. HOLDING uses several military terms and concepts and these can be intimidating for some people. Fortunately for our society, our military and law enforcement have handled the "dirty work" of protecting us for hundreds of years. Since we are planning for a world where they will no longer provide that security, we need to learn some of their skills. They have established a very specific terminology to teach these skills, and it works. While I could not justify reinventing their "educational wheel," a serious attempt is made to communicate in "laymen's" terms wherever practical. All of us may need to think a little more than like a soldier or policeman. If you are "a little past your prime," HOLDING can help you "hide in plain sight" and avoid trouble whenever possible. I, personally, fall into this category and while I could still put up a good fight, combat is for younger men. HOLDING can teach you how to set up your location (Bug Out or In) so that you can have the best chance of surviving even the worst situations. If you are part of a "young family," HOLDING will provide you with several ideas to assist you with your plan and the options available to you. A TEOTEAWKI life with younger children is a completely different situation than an all-adult group. The potential issues regarding those precious young ones are considered throughout. If you are part of a large, geographically close family or group, HOLDING will provide valuable information on how to utilize your team's size and capabilities. Regardless of your age, the size of your group, where you are located and what your physical capabilities are - HOLDING can teach you certain basics that may make the difference if it all falls apart.